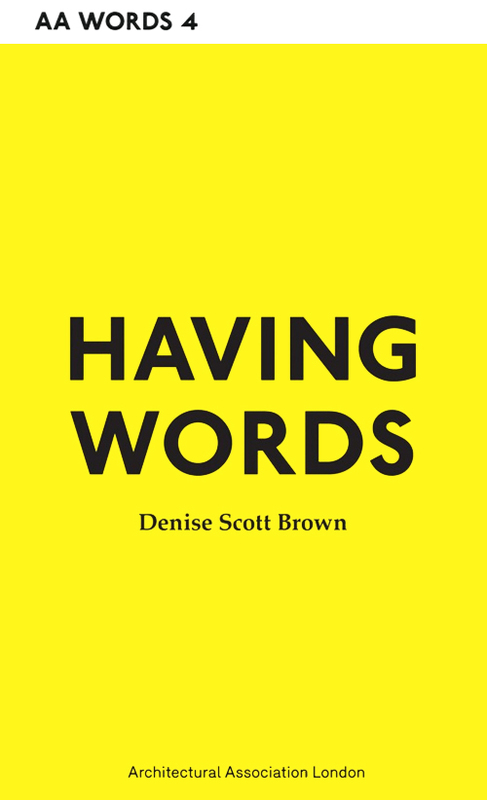 Having Words collects together for the first time ten essays by the pioneering architect and urban planner Denise Scott Brown. Educated in the 1940s and 1950s at Witwatersrand University, the AA and the University of Pennsylvania, Scott Brown has, since the 1960s, taught and led her Philadelphia firm, Venturi Scott Brown and Associates, in collaboration with Robert Venturi. 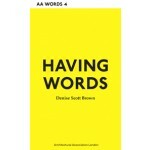 The essays in this collection extend from her 1969 text, 'On Pop Art, Permissiveness and Planning' (written three years before the publication of Venturi, Scott Brown and Izenour's seminal book Learning From Las Vegas) to 'Towards an Active Socioplastics' from 2007, which offers an overview of Scott Brown's education and the gestation of her key architectural and urban ideas. In between, eight other essays from the 1970s, 80s and 90s, offer insights not only into Scott Brown's evolving architectural imagination but touch upon the changing collective ideas and aspirations of design education and practice. The collection is bookended by two additional texts by Scott Brown, a foreword and an afterword, addressing specifically the act of writing about architecture.